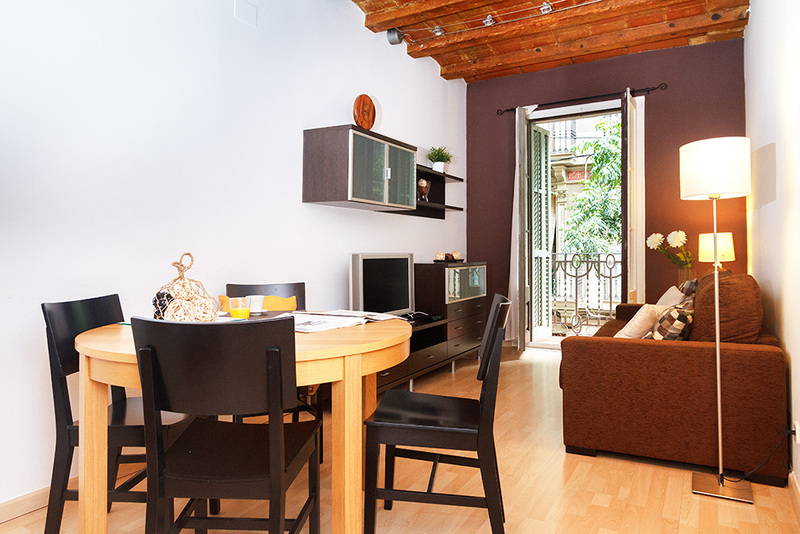 The Sagrada Familia III apartment (HUTB-001043) is located on a quiet side street in the Sagrada Familia neighbourhood of Barcelona. 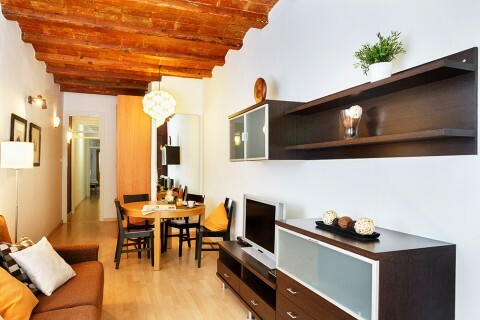 This tasteful apartment in Barcelona is just a few minute’s walk from Gaudi’s masterpiece the Sagrada Familia. 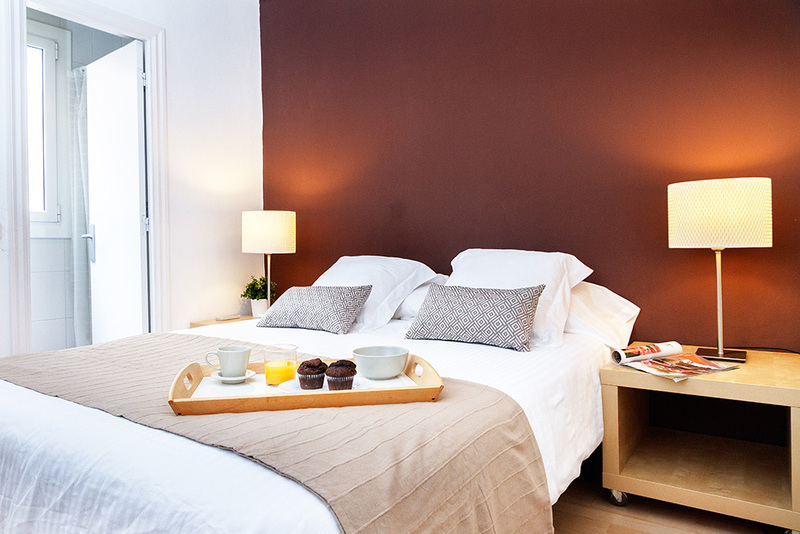 The whole apartment was completely refurbished very recently. The result is a stylish modern Barcelona apartment with some traditional characteristics preserved, including the brick Catalan ceiling and original wooden doors and shutters which lead onto a small balcony overlooking the street. There are parquet floors throughout and the walls are painted white, creating a cool, modern feel. 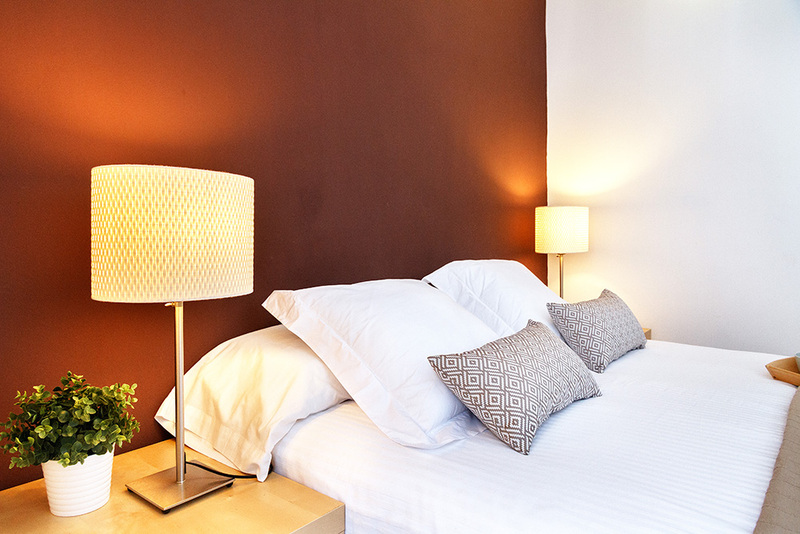 The apartment sleeps up to 4 people in comfort. 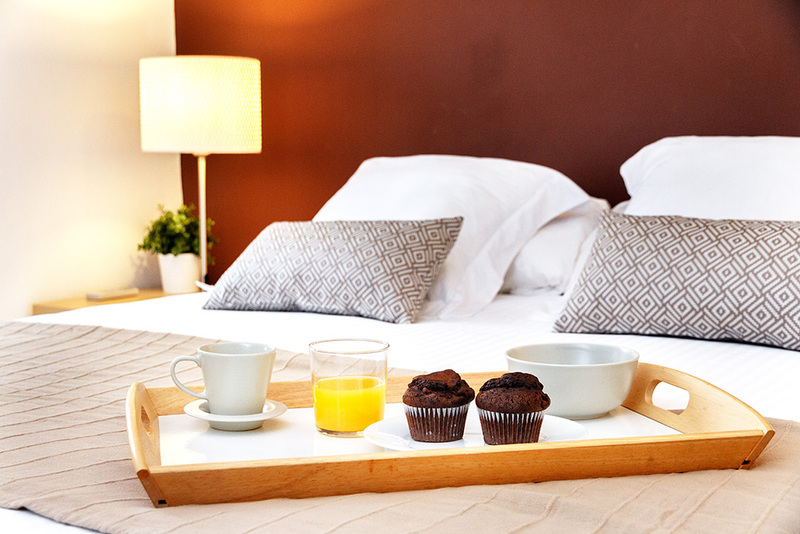 The master bedroom has a double bed and an en suite bathroom. 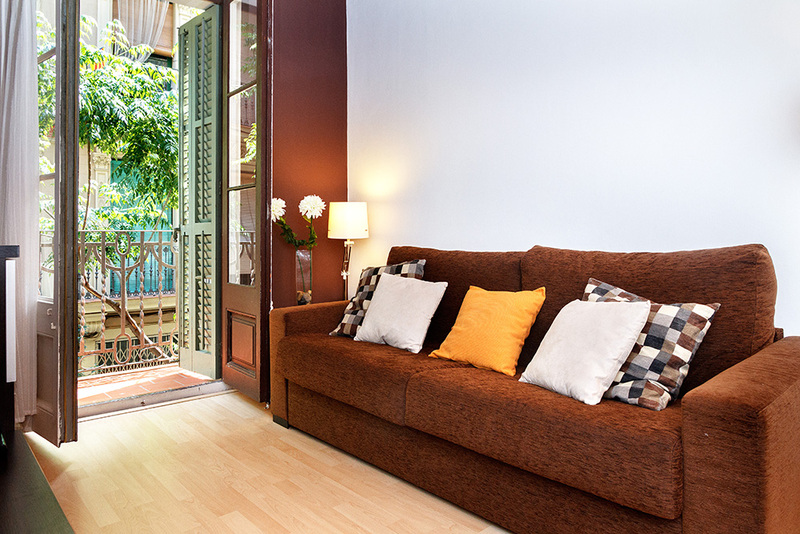 The main living area is a relaxed open plan space with French windows leading onto the balcony. 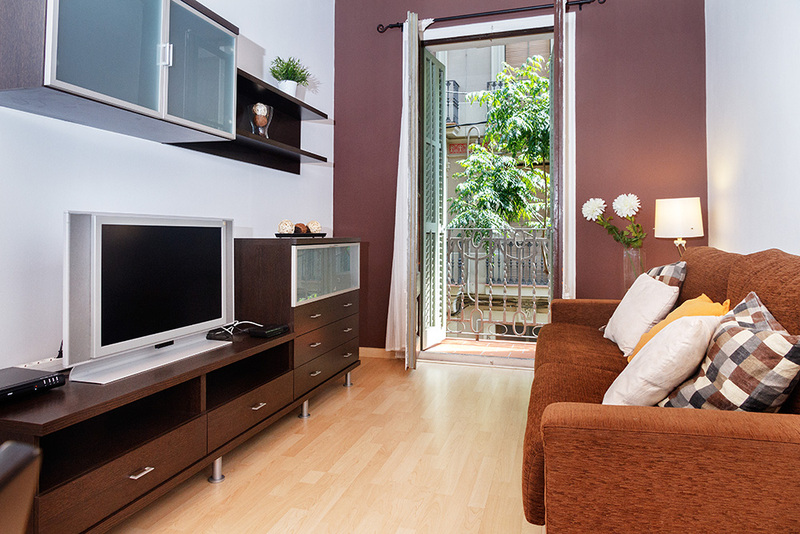 As well as a flat screen TV, DVD and free Wi-Fi connection; the living area features a comfy sofa-bed. This folds out into a bed for one extra person. The dining area is part of the same space and features a round table and four chairs. 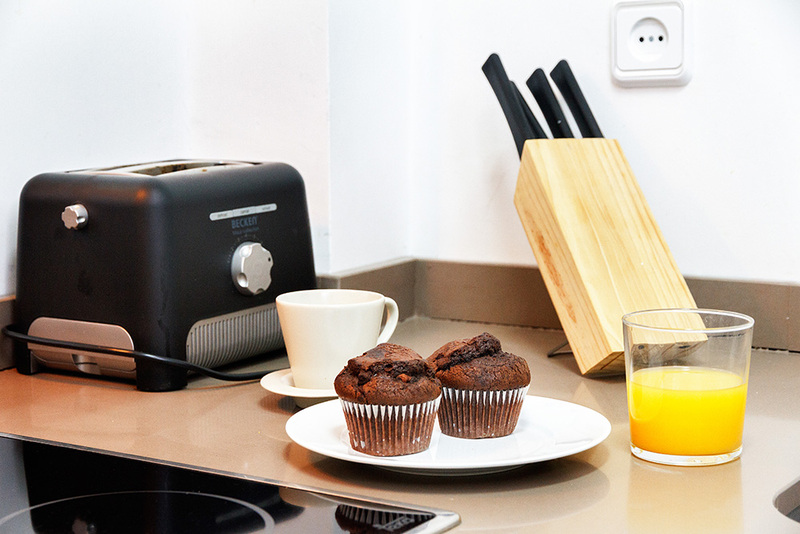 The kitchen comes fully equipped with everything you need to prepare a meal. 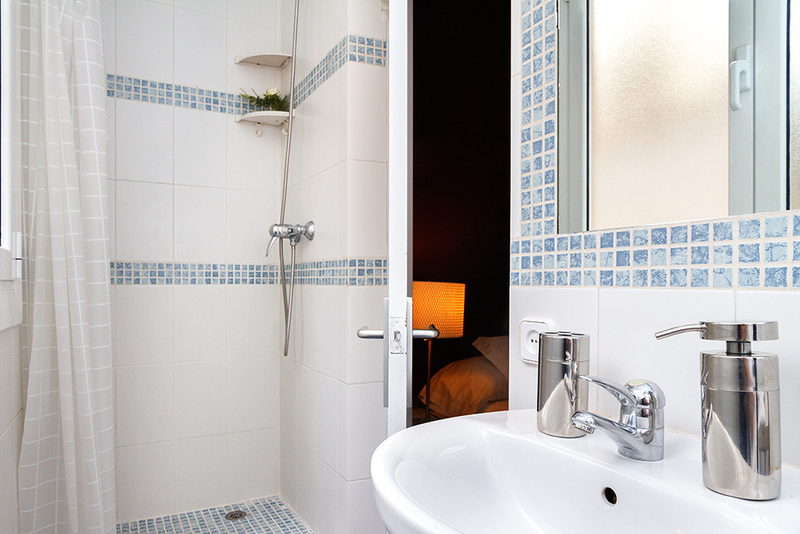 The bathroom is an en suite and features attractive Mediterranean blue decor. 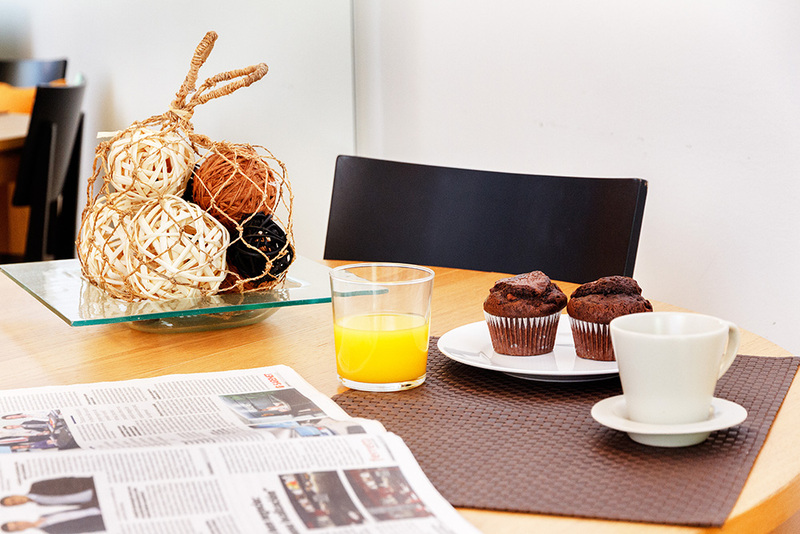 This smart but relaxed apartment is ideal for a couples looking for a place to stay near the Sagrada Familia. enjoy a cold drink, a meal or just some tapas. Avinguda Gaudi runs all the way from the Sagrada Familia to another art nouveau masterpiece, the Hospital Sant Pau. This is a very residential area, so there are abundant shops and markets. On Calle Padilla between Mallorca and Provença streets is the excellent Sagrada Familia food market. 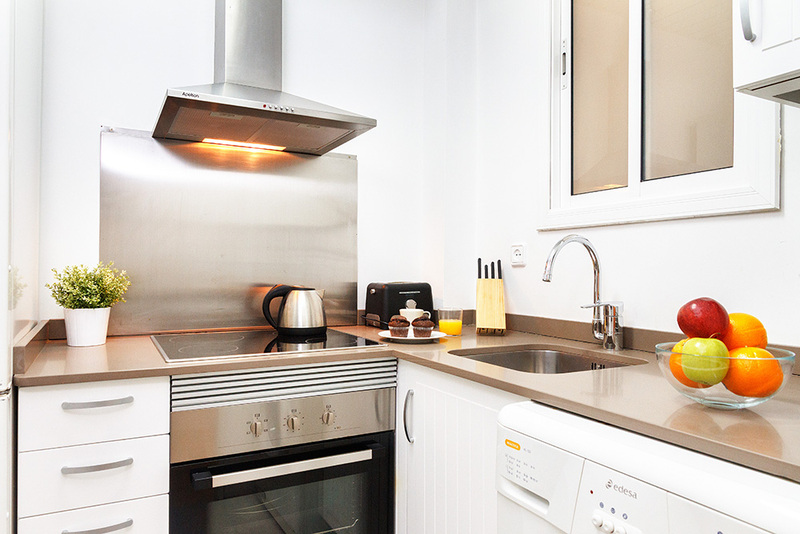 Here you can find amazing fresh produce, meat and seafood, and all host of delicious Catalan delicacies. This neighbourhood has excellent public transport links connecting it with all the other interesting tourist areas of the city. It is 100 meters away from two metro stations and many bus lines, so you can get old town in 10 minutes, or to the beaches in less than 15 minutes metro trip. A good situation, because the métro is a few meters away. And the apartment is right in front of "Sagrada Família" It's very good situation for visit Barcelone. Location Goodbed and sheets, pillows etc. L'accueil a été excellent même à une heure très tardive. L'appartement, tout en longueur,est situé dans une petite rue près de la Sagrada Familia, proche des commerces mais sans le désagrément des grandes avenues. Nous avons passé un très bon séjour.